Portland, Oregon – The Oregon Liquor Control Commission today approved rules allowing growers licensed in Oregon’s Recreational Marijuana Program to grow marijuana specifically for Oregon Medical Marijuana Program (OMMP) cardholders. Under this “medical bump-up” arrangement recreational producers will be allowed to grow additional canopy above what is allowed in their OLCC license. The new rules allow producers to enter into agreements with OMMP cardholders, however a medical cardholder can only have one assigned grower. Producers that decide to add medical bump up canopy can transfer useable marijuana to an OMMP cardholder. If a cardholder allows, a producer may transfer excess to other cardholders and caregivers, and OMMP dispensaries and processors. All production and transfer of excess product is required to be tracked in the Cannabis Tracking System (CTS). The OLCC already allows the sale of medical grade marijuana products by its licensed retailers and those products amount to about 14% of sales in the OLCC regulated environment. Under the bump-up rules up to 25% of the yield grown for an OMMP cardholder can be sold to OMMP processors and dispensaries. Addressing the concern voiced by patients, doctors, and medical marijuana advocates that the three pound limit would create a medicine shortage for some patients, Commissioner Pamela Witherspoon called on the Commission to adopt an exception process for patients who need more medicine. Steven Marks, the Commission’s Executive Director said the agency would monitor patients’ ability to obtain their medicine – especially those with serious illnesses, and act to ensure patient access to medicine either in partnership with the Oregon Health Authority, or within the OLCC’s own rulemaking authority. The OLCC will monitor the implementation of the bum-up canopy rules and if necessary adjust the rules as the agency learns more from producers and OMMP cardholders who participate in the bump-up program. The bump-up rules take effect on May 1, 2017. Bottom Line: If you are a dispensary, grower or processor, the OMMP has a new report for you to fill out every month. The new OMMP reporting website is http://ommpsystem.oregon.gov. This reporting website is not a POS; it is a portal for dispensaries, growers and processors to log into every month to upload data about their transfers. The Good News: If you are a dispensary just log into OMMPOS and click our OMMP Transfers Report to get this done in under 10 minutes. Yesterday, June 3rd was one of a series of OMMP sponsored meetings. This meeting took place at the public library in Seaside, Oregon. There were about 40 people in attendance at the first 10:00 am session and only 4 people in the 2nd 12:00 pm session. We reviewed a slide show presentation of the new reporting website. This reporting website is not a POS, it is a website that allows growers, processors and dispensaries upload monthly information about transfers. Or who sell excess useable medical marijuana, seed or immature plants to OHA medical processors or medical dispensaries. Reporting began June 1st 2016 and is due on the 10th of each month. The first report for the month of June is due on July 1st. Growers, Processors and Dispensaries are then responsible for sending the OMMP a report each month due on the 10th of the month. We heard from the OMMP that the purpose of these reports is to begin recording data so that a year or more down the line they can begin to form some ideas about trends and perhaps use those trends to inform policy. When asked will these reports lead to audits the reply was that non-compliance, meaning failure to report would be the first largest factor in who would be audited. Again, those people who should report but fail to will likely be audited. The fees for failure to report are stiff. Up to $500 per day. * Here is the key bit, and I will probably re-type this at the top of the article. Dispensaries get special treatment here. 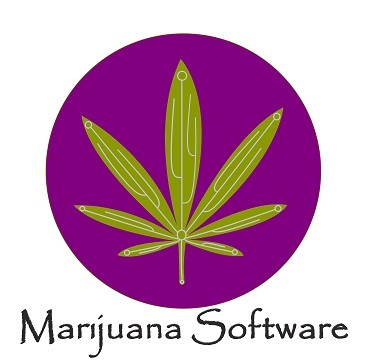 Because the OMMP's system is not quite yet setup to receive dispensary transfer information the OMMP will accept manual records (excel files) from dispensaries for the time being. OMMPOS is working now to create an OMMP Transfer Report to make this process a 1-button click. Stay tuned to be updated when this new report is ready to go. Thank you to the hard working staff over at the OMMP!